Purchase a holiday chalet on Woodlands Park. This chalet is available to OWN Detached and fully double glazed with a South facing patio. Fully furnished and refurbishment just completed. Two bedroom semi detached chalet. Refurbished to a very high standard. Fully furnished and recently painted externally - this one is a must see. Two bedroom DETACHED chalet. Fully double glazed. 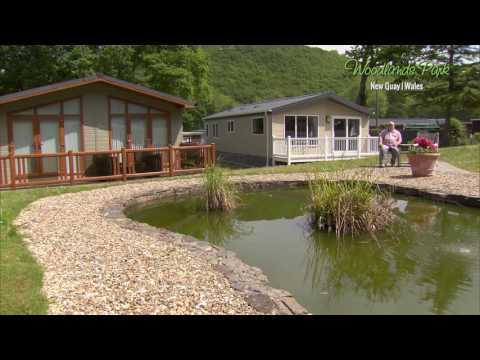 Holiday chalet licences are usually for a period of 10 years when purchased from the owners of Woodlands Park. Woodlands Park also allows chalets to be sublet for paying holiday guests, so this could be the perfect way for you to offset your running costs, by letting your holiday chalet when you are not using it. Please contact us for further details on holiday chalets, site fees and running costs, or to arrange to view the available chalets or Woodlands Park.